Valar līs ipradagon (All men must eat). Hear ye, hear ye! Gather, Wildlings, peasants, soldiers, Dothraki, and house lords and ladies. Listen closely as I am no rawgabbit and there is ner a need to go grubbling too deep in your pockets for this most scrumptious of Westorosi fares. 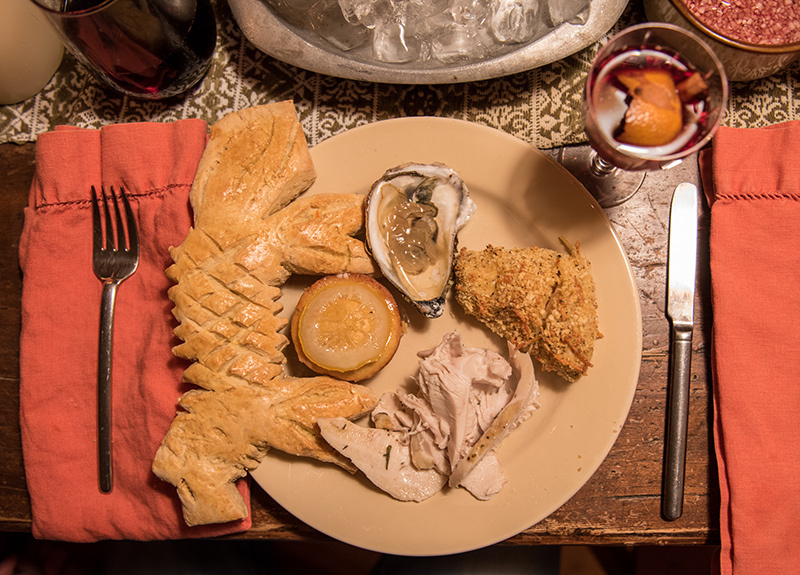 In preparation for the final season of Game of Thrones, which begins on April 14 at 9 pm, Times photo editor Gabrielle Mannino and I, in tandem with culinary Maester Colton Gilpin, put together a fearsome meal worthy of the great hall feast at Winterfell, Dragonstone, or King’s Landing. 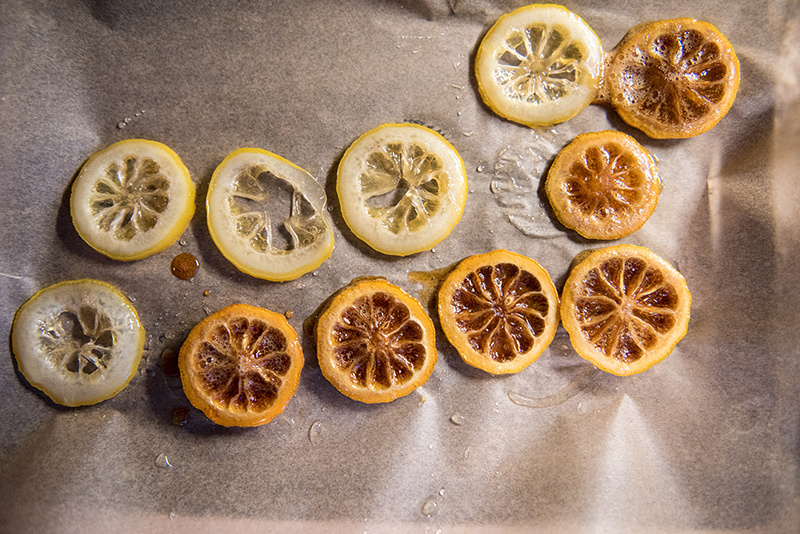 All recipes we used are simple and traditional ones or ones we borrowed from sources online and added our own twist to. 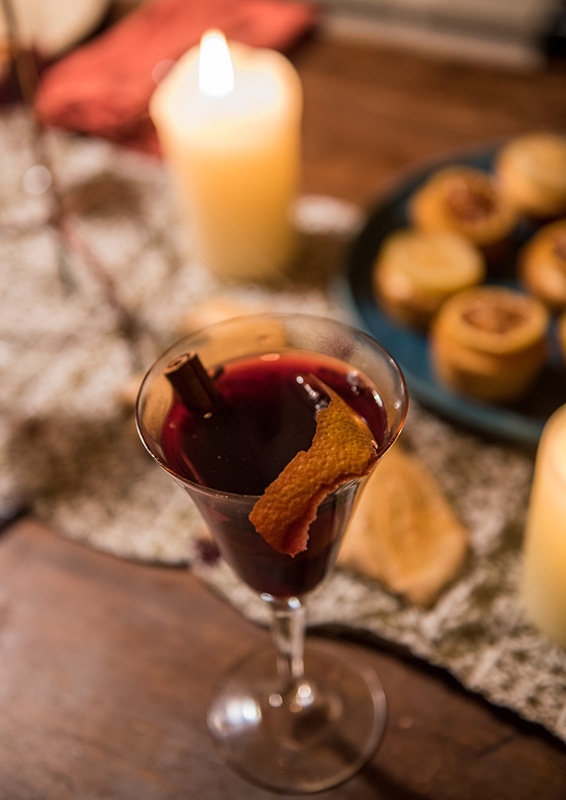 To begin our culinary song of ice and fire, we crafted a brew of mulled wine by heating together a dark cabernet sauvignon with apple cider, cinnamon sticks, honey. 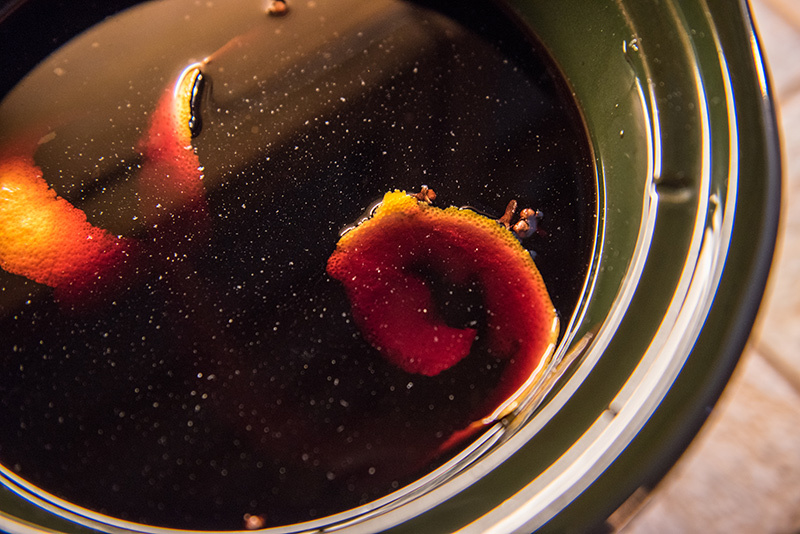 We threw in a couple orange peels to bring out the zesty flavor for a sweet and smooth mulled wine that one could find in Cersei Lannister’s chalice. 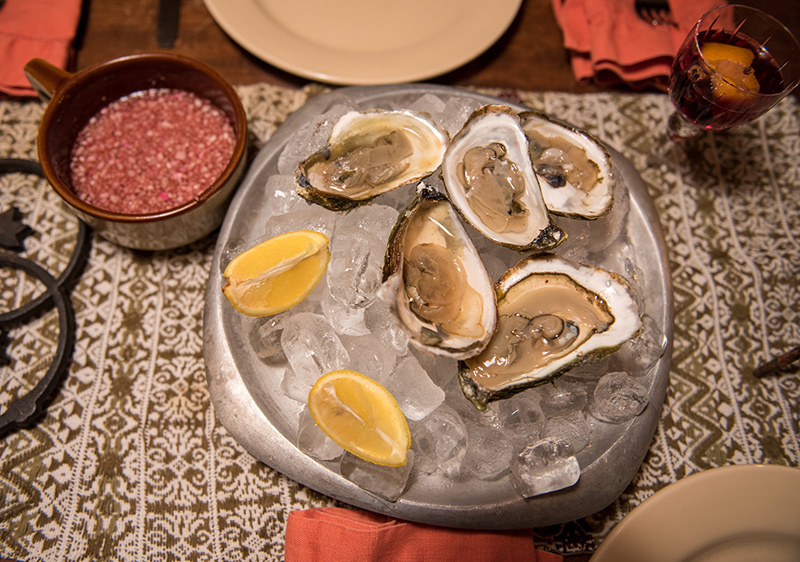 Once wine has been served, and all were seated on our iron thrones, the meal begins with “Arya’s Oysters” which we couldn’t go out and harvest ourselves. 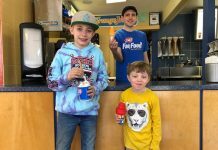 We did, however, save face and purchased them at Net Result on Beach Road. 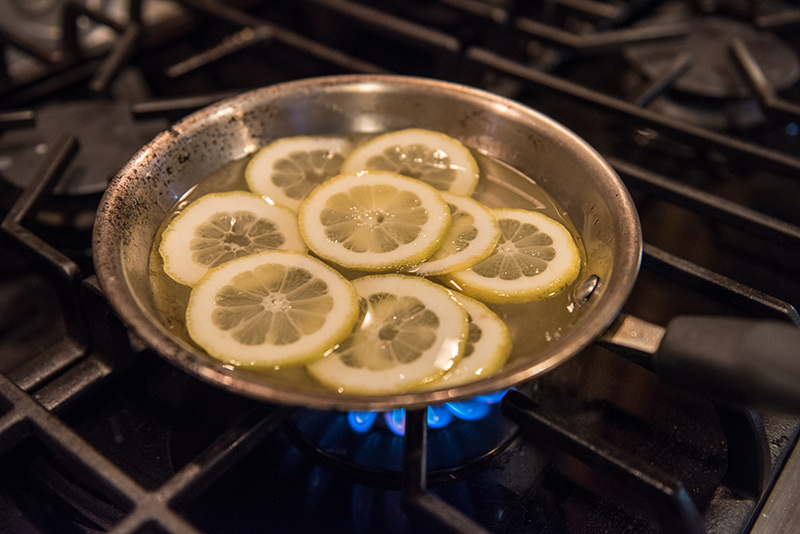 Combine some red wine vinegar and shallot for an easy mignonette, or a little hot sauce for an added kick. 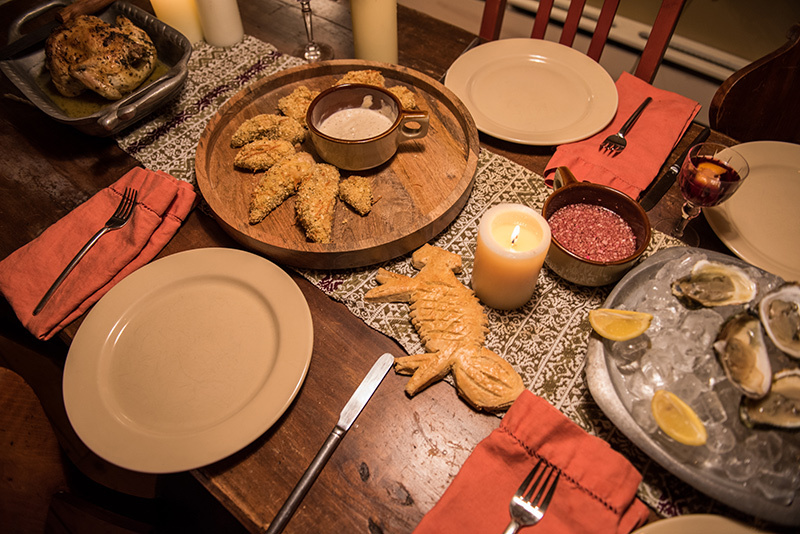 We coupled the oyster appetizer with “Chicken Littlefingers,” chicken tenders breaded with parmesan and panko in homage to master manipulator Petyr Baelish. 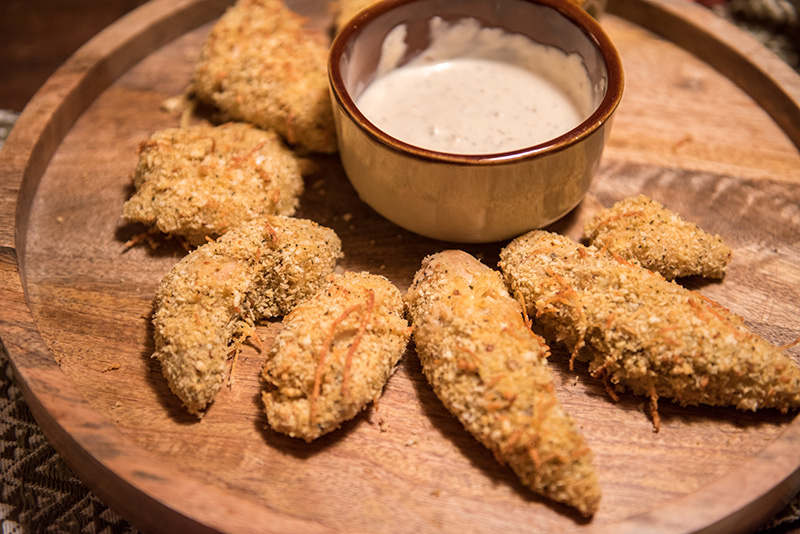 Chaos may be a ladder, but these “Chicken Littlefingers” will fill that pit in your stomach. Chickens of course are a Game of Thrones mainstay. They appear at nearly every feast on the show and are The Hound’s choice of meat before he obliterates an entire tavern of kingsmen. 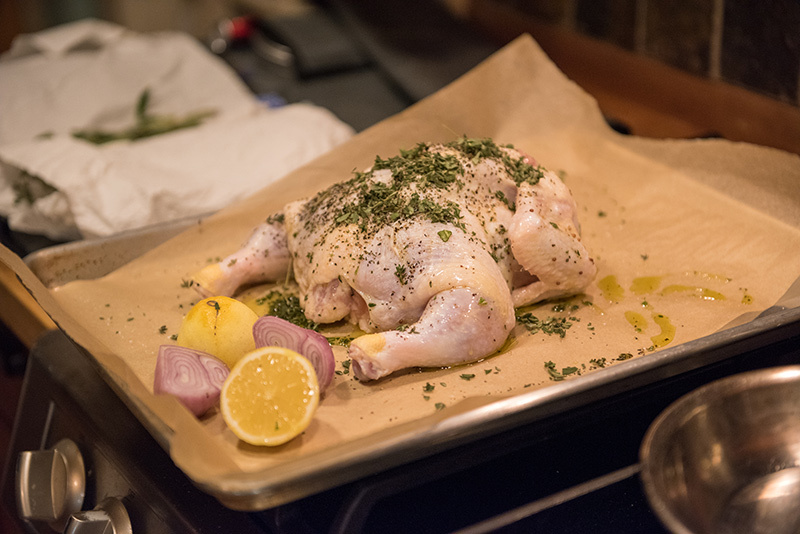 The main course, in honor of The Hound: roasted chicken brined with lemon, shallot, sage, and thyme. 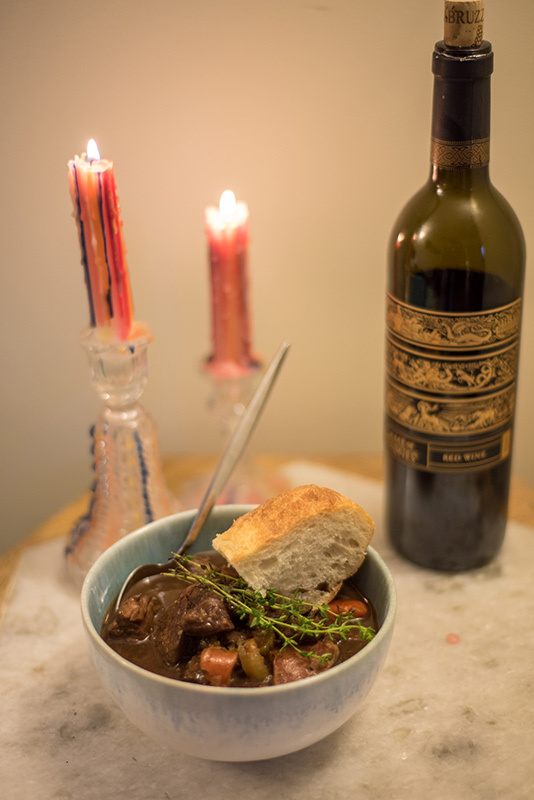 We couldn’t help ourselves so we decided to make a classic French beef bourguignon stew with beef, carrots, onions, and more spices than a Essos merchant. Due to the incredibly heartiness of the meal, it is advised to save the beef stew leftovers and use them at a later date over a plate of egg noodles or mashed potatoes. 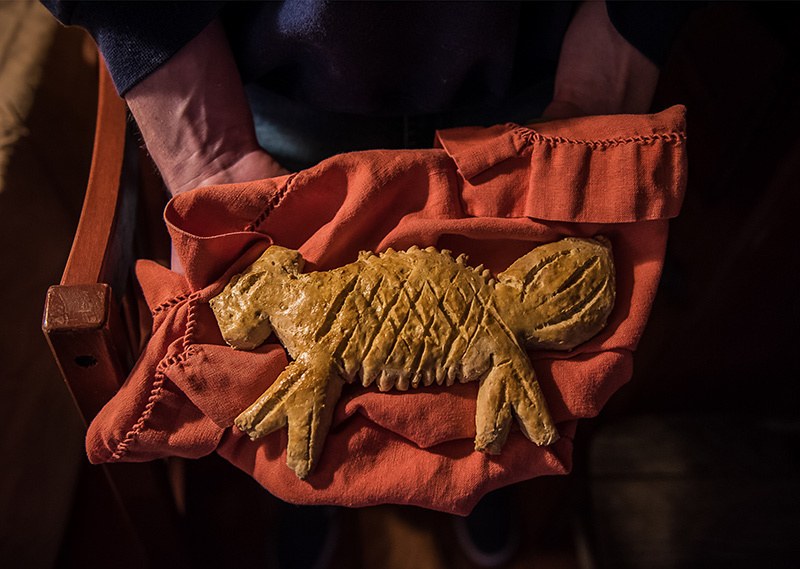 Our plates were rounded out with “Hot Pie’s Direwolf Bread,” a hearty bread shaped like the loaf Hot Pie gave to Arya in Season 3. The bread is a basic buttermilk bread recipe with orange zest added for flavor. 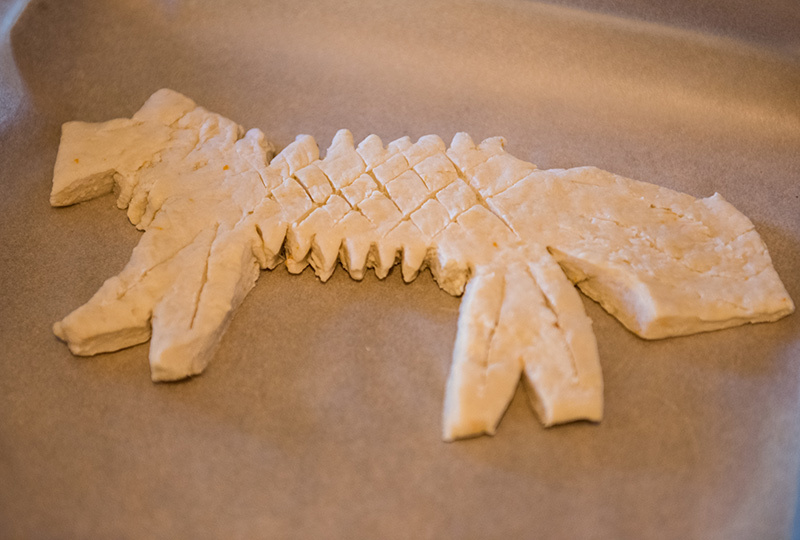 The trick is to cut the dough out in a direwolf shape before giving it an egg wash. Lordly tip: dab the bread in the burgundy stew. 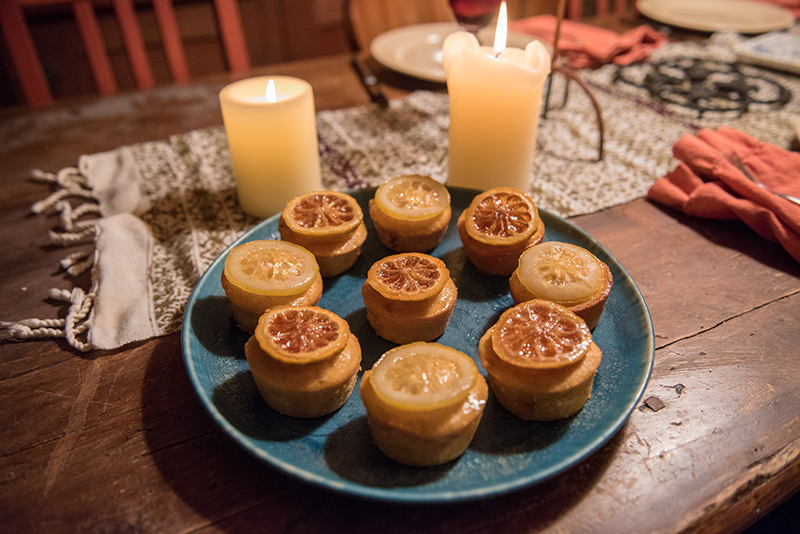 Once we ate our fill of chicken, beef, oysters, bread, and wine, we dove mouth first into “Sansa’s Lemon Cakes,” sweet and sour lemon cupcakes with candied lemon placed atop. 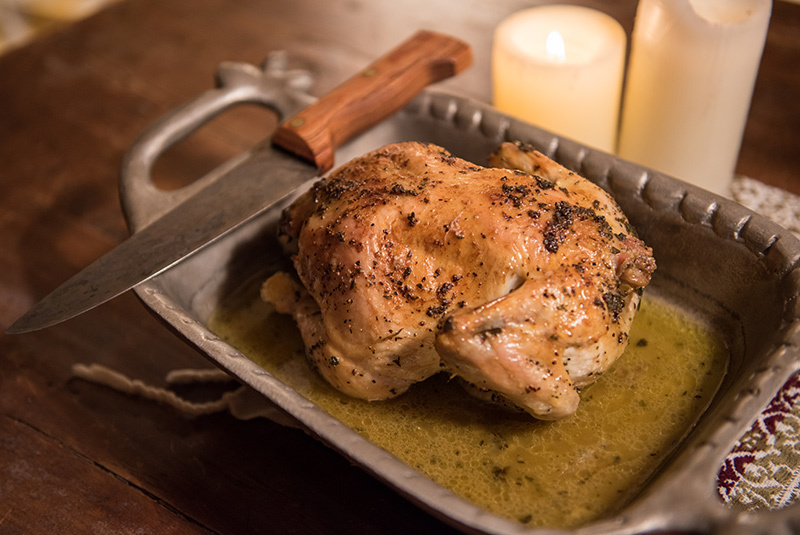 The best thing about a Game of Thrones inspired meal is anyone can put it together. 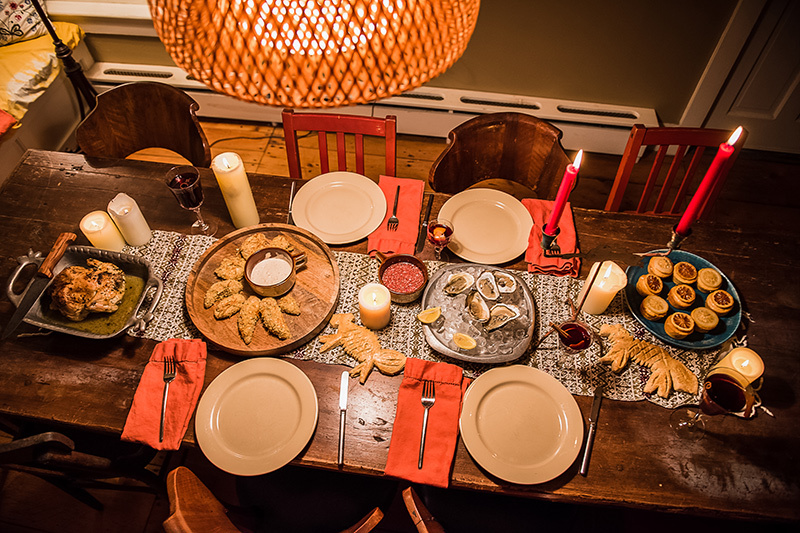 With simple recipes and cheap ingredients (we spent less than 85$ for everything, including the wine) the avid Game of Thrones fan can easily feed five people and have plenty of leftovers. Every meal is only as good as its setting. We were fortunate enough to cook our meal at the former site of a Louise Tate King restaurant in West Tisbury, which is now the warmest and most rustic home of Lisa, Claire, and Adam Gross. 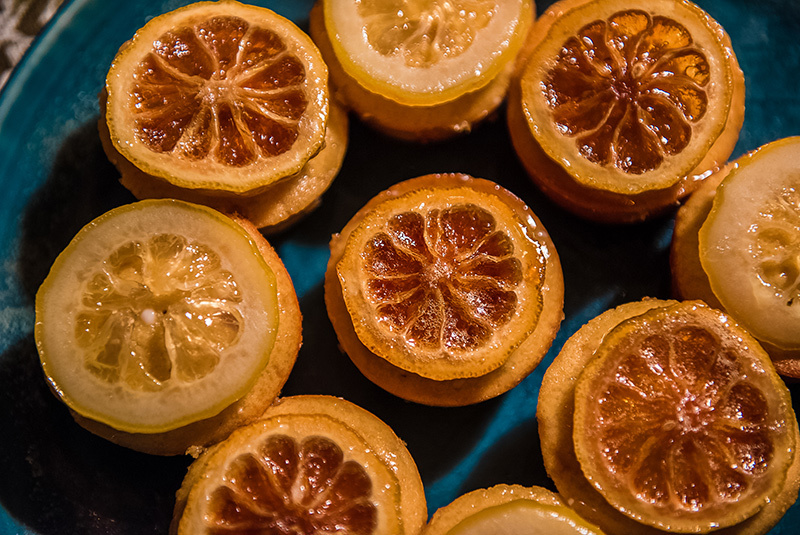 To check out the recipes in action visit The Times youtube channel at bit.ly/GOTdine.